Toronto workers voted 117 to 1 against an offer from American manufacturing giant Crown Holdings after more than seven months on the picket line. The members of the United Steelworkers (USW) Local 9176 voted on the contract on March 24 after Crown Holdings — one of the largest manufacturers of food and beverage containers in the world — demanded a vote under terms of Ontario labour law. “This level of solidarity from workers, after a brutal winter and such a long period on the picket line, is virtually unprecedented in my experience,” said USW representative Lawrence Hay. Workers first walked off the job in September 2013 when the company called for a two-tier wage plan. The union said the plan would permanently cut young and new workers’ wages by up to 42 per cent. The union said it believes the company has since made progressively worse contract offers in an effort to prolong the dispute. 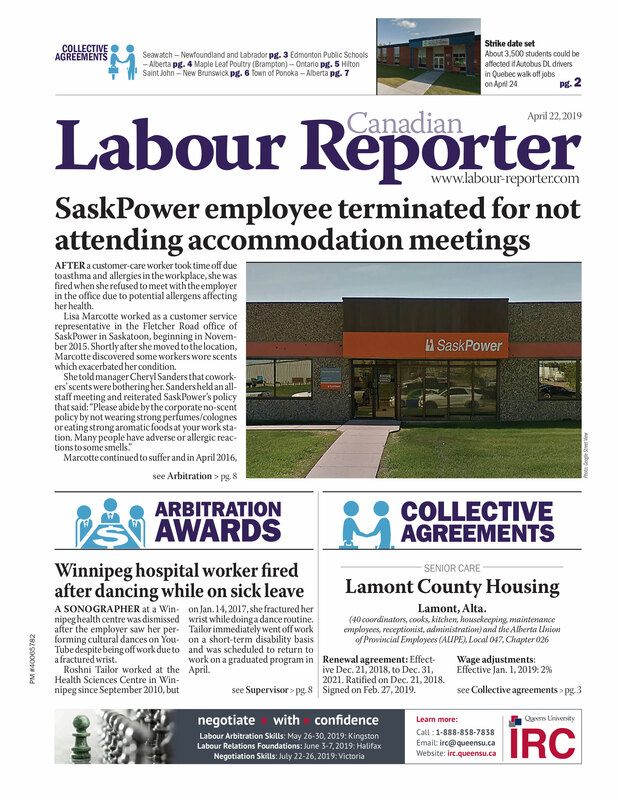 USW is calling on the provincial government to help bring Crown Holdings back to the table and resolve the dispute. “Today’s vote sends a clear message that Crown must return to the bargaining table with a fair proposal to resolve this strike, in the interests of their employees, their customers and shareholders,” Hay said. To fail to do so, he said, would risk the loss of the company’s business in the Ontario and Quebec markets.